BooBoos was one such "object" given to me on the day my sister was born. He was much loved for many years and although he became a shadow of his former self in later life, his arrival prompted an affection for his kind which resurfaced many years later when my own children were little. 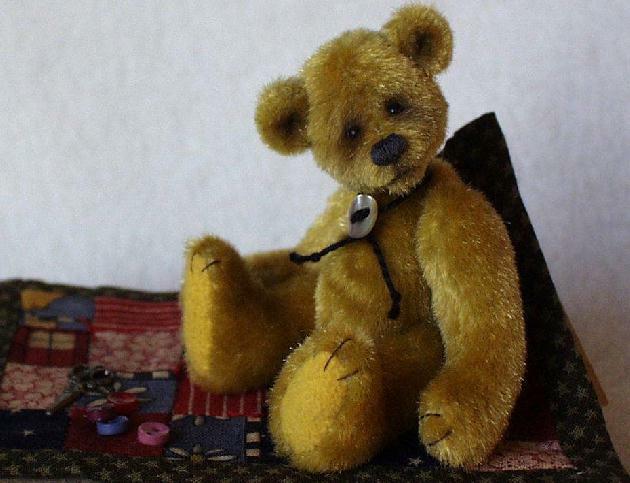 In 1995 I began to make miniature bears. They weren't bears for children but for adults. Although I didn't collect bears I loved the process of designing and making these little creatures, each a mere 2"-3" tall, by turning a scrap of fabric into a character. 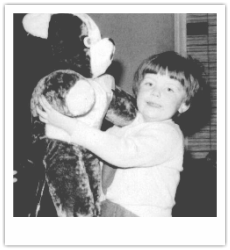 Ten years on and nearly a thousand bears later I was ready for a new challenge and returned to study Foundation Art and then BA Hons Fine Art. I have kept very few of the bears I made but see that time as a transition itself to the work I make today. Although in many ways they seem a world apart there is an undeniable connection with childhood and its transitional objects and I am sure that without them the work I make now would not exist.